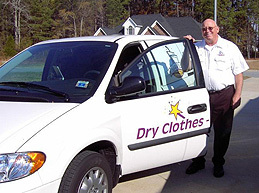 According to the Wizard (http://www.dryerventcleaningnassaucountynewyork.com/), the frequency of residential fires increases during the fall and winter months. This is also the time of year homes are closed up to keep the heat in, which contributes to carbon monoxide poisonings. The Wizard says consumers should have carbon monoxide detectors installed in their homes and make sure their gas appliances are properly vented. 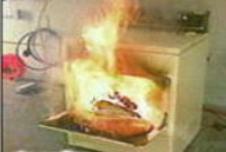 Like all fuel burning appliances, poorly vented gas dryers can produce dangerous levels of carbon monoxide in homes. In addition to being a fire hazard or carbon monoxide threat, poorly vented clothes dryers cost significantly more money to operate. Air flow is the most important function of a clothes dryer. A dryer vent inspection and airflow analysis by the Wizard will determine the steps needed to improve safety and efficiency for better dryer performance and a hazard free dryer vent system. Wizards across the nation are on a mission to educate consumers and encourage public awareness on dryer fire prevention and energy savings. Dryer Vent Wizard only works on dryer vent systems so they are the experts to trust. With 60 locations across the US there is sure to be a Wizard in your area. 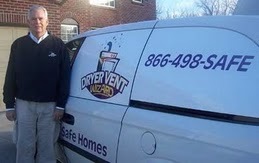 Visit http://www.dryerventcleaningmassapequanewyork.com/ to schedule a dryer vent inspection.